What a fab wearable and collectable piece! 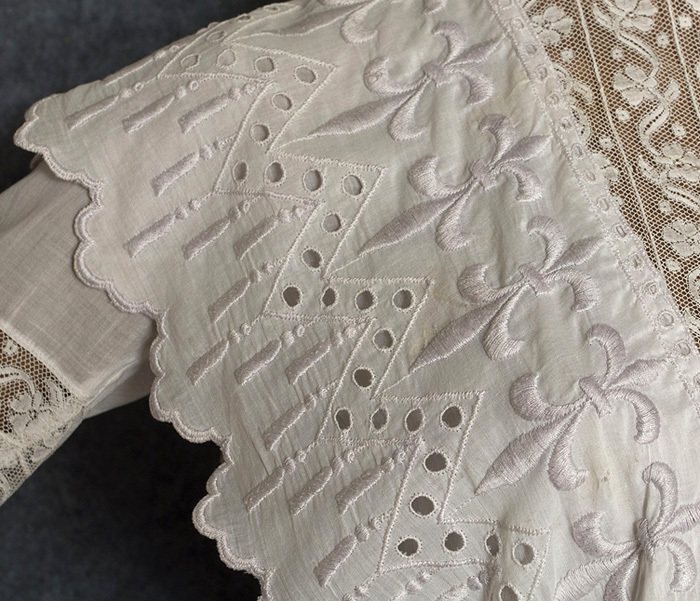 The skirt was altered to "modernize" the style by removing fullness from the back and by shortening the length from the top. 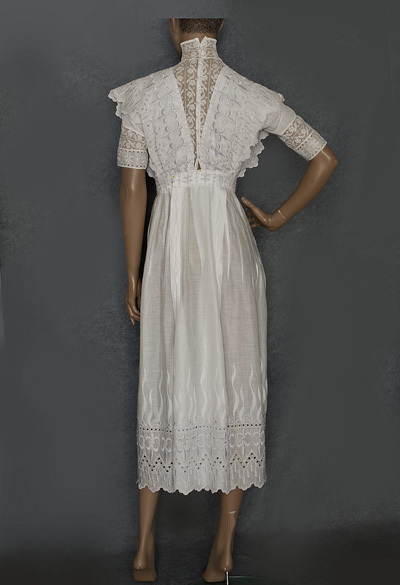 While the dress is no longer authentic period, it retains the genteel charm of the time. 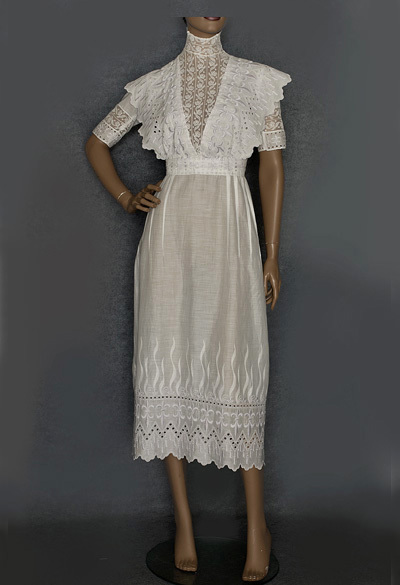 This lightweight white cotton dress is embellished with pale blue/gray embroidered cutwork and with delicate lace inserts on the bodice and sleeves. It closes in back with small mother-of-pearl buttons, hooks, and snaps. 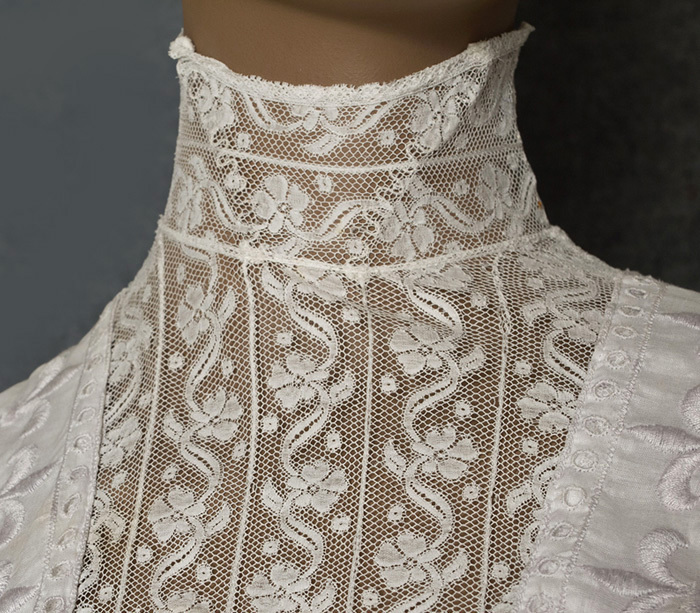 The stand-up collar is wired to hold the shape. The dress is sheer and will need a slip. The condition is almost excellent. In the skirt front is one pin prick hole. The barely noticeable hole will totally disappear over a white slip. 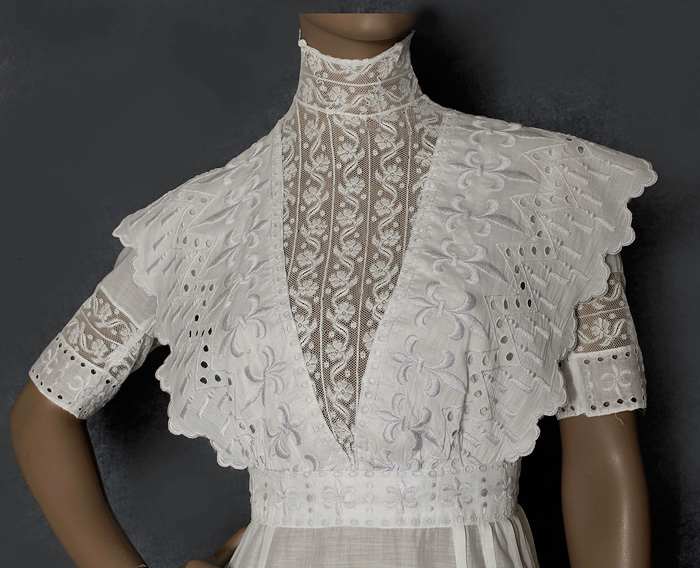 It measures: 36" bust, 26" waist, 40" hip, 13 1/2" collar circumference at the neckline, and 50" from shoulder to front hem.